Our family does a lot of ‘day tripping’. We’ll drive out to a destination that’s 2-3 hours away, spend the day, and head back after dinner. It might not be for everyone, but for us it’s a great way to fit in a little adventure without breaking the budget. Sometimes it’s also because of scheduling issues. One day adventures are better than no adventure, right? 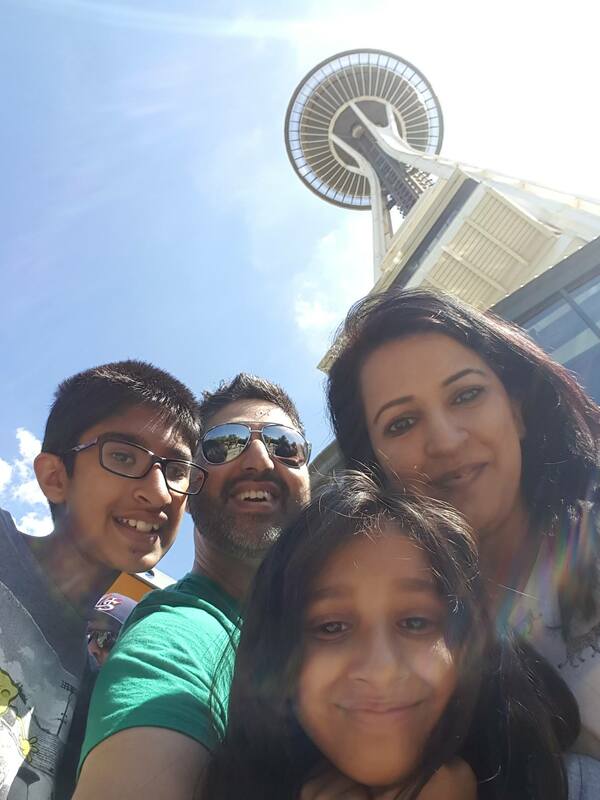 Since we live in Surrey (just outside of Vancouver), the drive to Seattle is around 3 hours. We left around 9, which put us in Seattle just in time for lunch. This is the itinerary we followed, as a place to start your planning. Of course, it’s always a good idea to check out the local tourism sites, and bloggers from the area for recommendations too! Seattle is a city made for walking. Park in a convenient location, put on your walking shoes, and start exploring! We parked underground at the Seattle Symphony Orchestra building. It was centrally located, and the parking lot is open late. The iconic Pike Place Market could honestly be a day trip on it’s own. Take your time wandering around the food and flower stalls, watch the famous ‘fish throwing’ guys, and explore the lower floors of the market to see all sorts of weird, and international treasures. If you like seafood, the restaurant to eat at is Athenian. (It’s the famous restaurant that was featured in Sleepless in Seattle). My kids don’t do fish, so we went to Beecher’s for grilled cheese and craft root beer – which is a family favourite for us. They don’t have much space to sit at Beechers to you can head over to the park across the street and picnic overlooking Elliot Bay. Full disclosure; we didn’t ride the Great Wheel. I wanted to, but my kids are not into rides or Ferris wheels so we just admired it from the park while scarfing down our grilled cheese. If your kids are into rides though, it’s pretty much next door to the market. 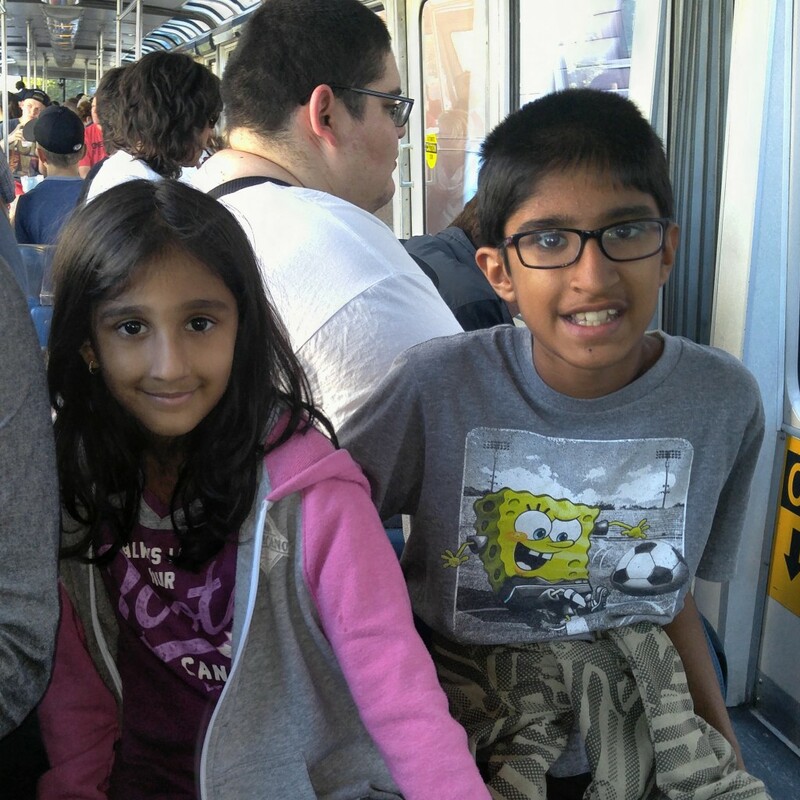 From Pike Place Market and the Great Wheel you’ll want to walk towards Westlake Centre to catch the Monorail. We also spotted some great food trucks in this area and tried some interesting Korean waffles that were shaped like fish. 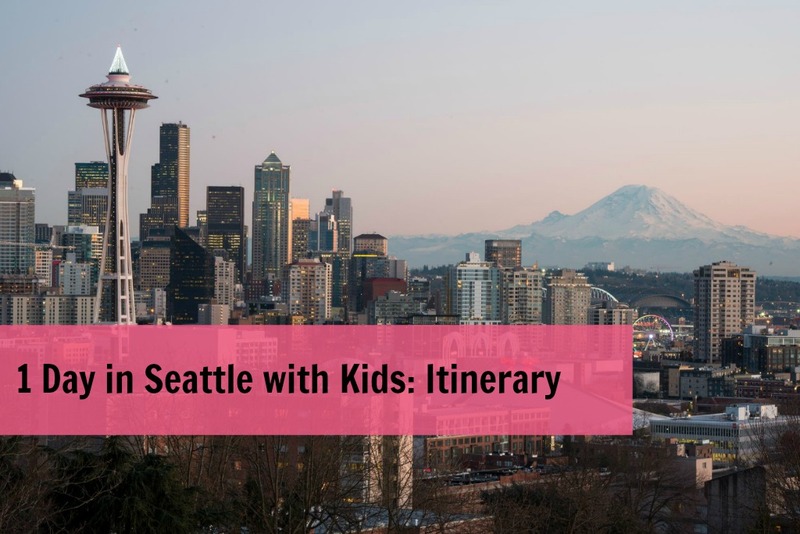 It’s a bit pricey for a whole family to go up to the top of the Space Needle, but if you are watching your budget on meals, it’s totally worth the splurge. We went on a busy weekend so there was a 2 hour wait, but we didn’t mind. We ate popcorn, sat on the lawn, and watched someone drawing caricatures. The only thing I wish we had brought with us was a blanket. 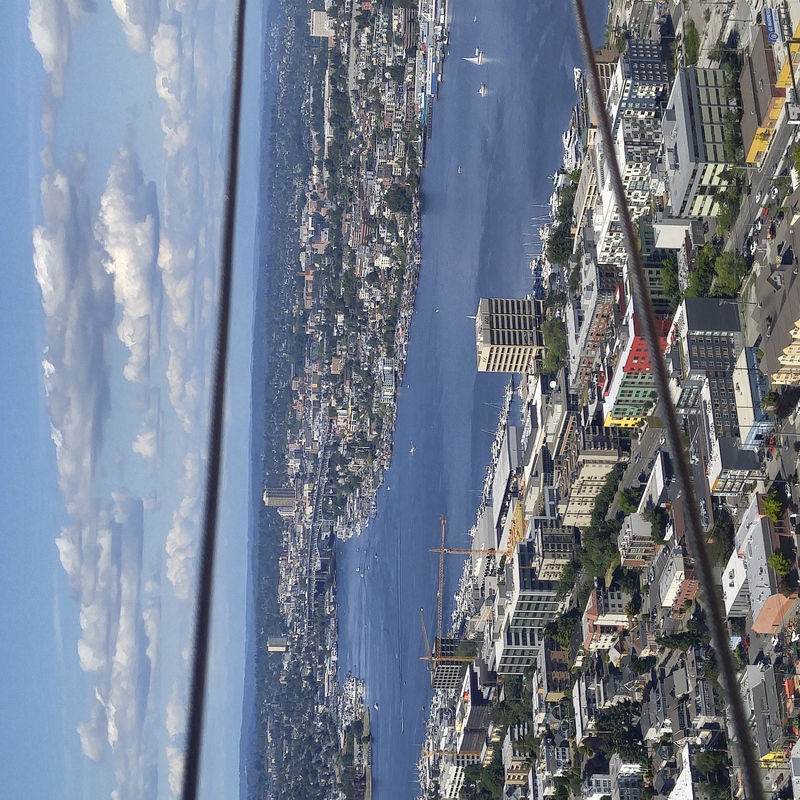 The view from the top of the Space Needle is amazing, and they do have a little coffee shop if you need to stop for a break. They also have a lot of great information to read and explore once you get to the top. If you take the monorail back to Westlake Centre, there are a quite a few restaurants in the area, and if you’ve parked at the Symphony Building, it’s an easy walk back to your car. Since we had a three hour drive back home we called it a day after the Space Needle and decided to have dinner at the Cheesecake Factory. 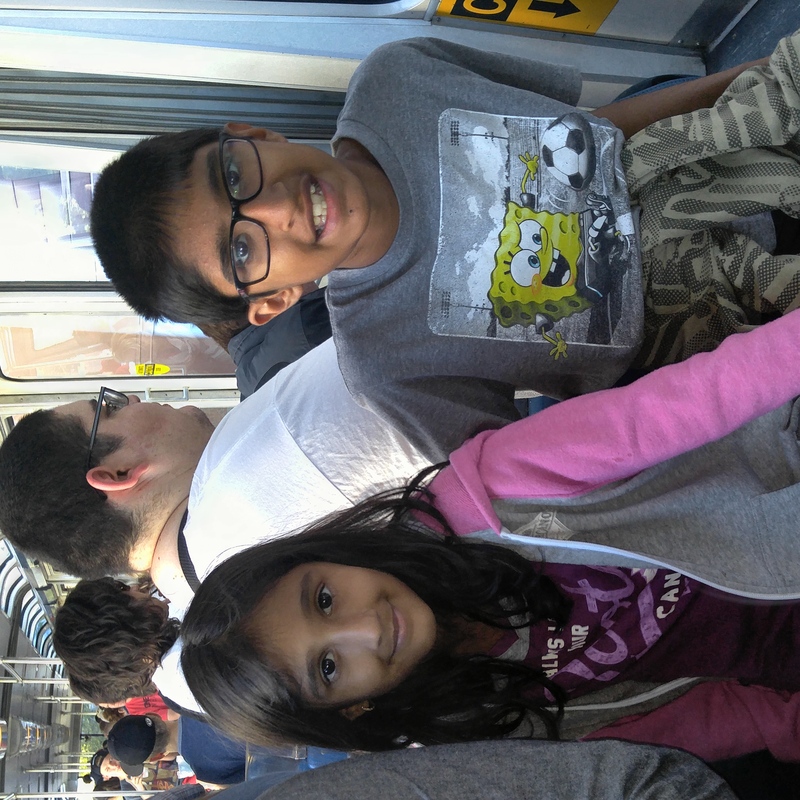 It was the first time Mr. T & the kids had been and they loved it. Usually when we travel we avoid chain restaurants, but I made an exception for my cheesecake lovers. Plus, we had breakfast at home, and a picnic lunch, so the budget allowed for it. 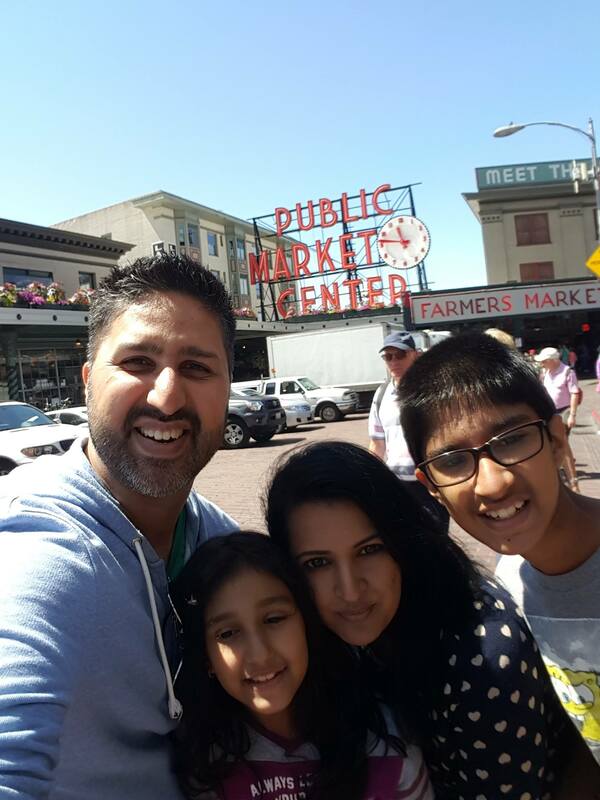 Pike Place Market – free! 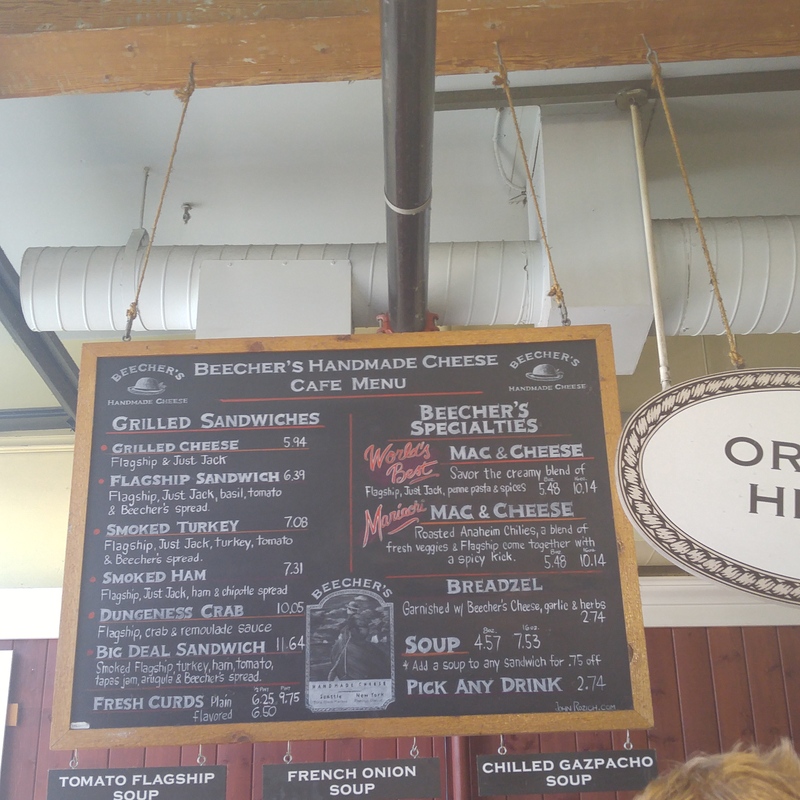 Lunch at Beecher’s – sandwiches range from $7-$10, and we shared three between the 4 of us. 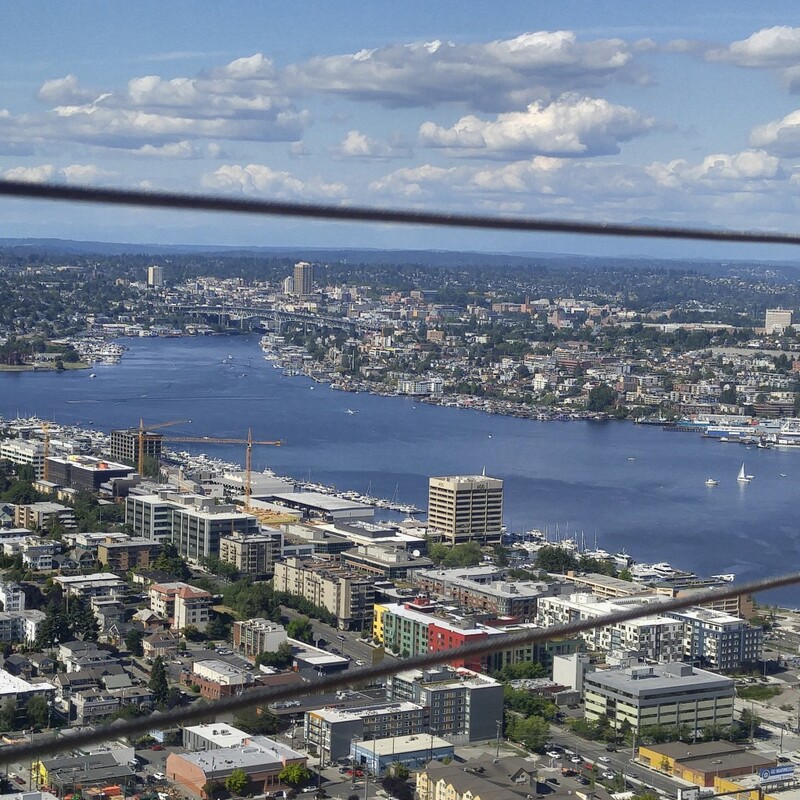 You can reserve your viewing time at the Space Needle before you go and save yourself the wait. Take a blanket for picnicking in the summer, and an umbrella the rest of the year!